if you were the one dating show. dating agency cyrano eng sub ep 7. Good Online Dating Questions to Ask Girls (#1-9)? 84 Questions To Ask On A First Date | HuffPost. What's something you're bad at? Who in your family are you closest to? What's your favorite holiday? What's one of your favorite childhood memories? What is your favorite thing to cook? What's your favorite piece of clothing that you own? What is something you are financially saving up for? What's a New Year's resolution you'd like to stick to? What is a job you would never do? What is your absolute dream job? What fact about you would surprise me the most? 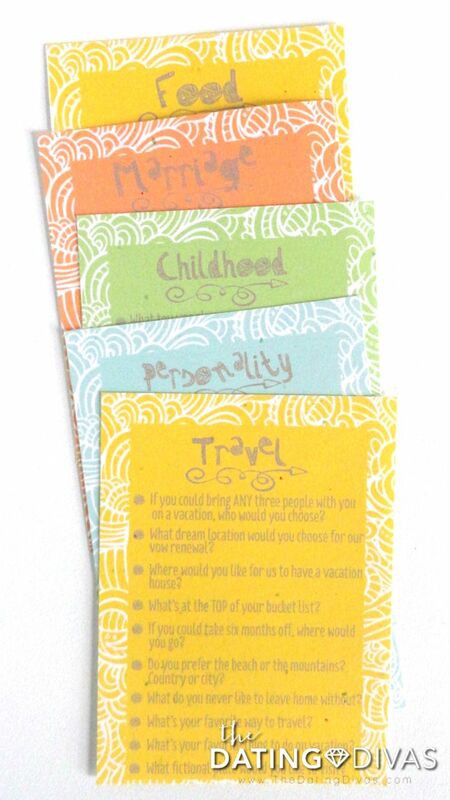 Do you consider yourself spontaneous, or a planner? What's the most spontaneous thing you've ever done? Who's your favorite sports team? What quality for you is an automatic "no way" when pursuing someone in a relationship? How would your best friends describe you? Do you prefer salty snacks, or dessert? What is the best single piece of advice you've ever received? What do you wish your 20 year old self would have known? If you could travel back and live in any period of time, when would it be? What has been your greatest achievement so far? What is a tradition your family had when you were a kid? What do you like most about where you live? What was the worst job you've ever had? When you were a kid, what did you hope to do when you grew up? What is one skill you wish you could be better at? A lot of guys make all kinds of claims about themselves in an attempt to impress the ladies. Really, though, a great question is more impressive than self-congratulation. Giving a girl a chance to brag on herself is a quick way to make her smile. If you want to get to know someone, ask about their proudest achievements. You could be talking to a world-class chess champion or a viral YouTuber or a proud mother. Her attitude toward her everyday life is an important consideration for daters, particularly for men who are significantly more likely to rate happiness in women as an attractive quality. You can ask guys pretty much anything. You can do that by asking pointed questions to reveal compatibility. If you want to find out who someone is, ask a few good questions about their past experiences, present interests, and future ambitions. Just remember, anything you ask is probably going to be asked right back to you. This is a good question for practical purposes. For example, my ideal Saturday is lounging around with my dog and marathoning Netflix shows. Is he the oldest? His birth order and the way he talks about his siblings can give you clues to his personality. You can tell a lot about a guy by how he treats his older or younger siblings. With one question, you get to the core of a person. His inner drive and career ambitions might just line up with your own! You never know what someone will come up with in answer. If you were stranded on an island, what is one item you would take with you? Who is your favorite band or musician? Are you more of a morning person or night owl? Where would you go on your dream vacation? Who is the closest person to you and why? What is your favorite childhood memory? What kind of hobbies do you enjoy? Do you have any fears? If so, what are they? What are your current goals in life? Do have a favorite color and why? What would you choose as your top meal? What is your favorite city you have been to? What is on your bucket list? If you had no fears, what would be the first thing you would do? Do you have siblings? Where did you grow up at? What do value in others? What is your favorite book you have read? What is one piece advice you would give to someone? What is your favorite cuisine to cook? Do you have any vices? Do you speak any other languages? If you had to describe yourself in three words, what would they be? What is your astrology sign? Do you have any awkward family traditions? If you were an animal, what would you be and why? Do you have any pets? Are you an introvert, extrovert, or ambivert? How long have you lived here? Have you ever lived in another country? Are you more of an indoors or outdoors person? What is your favorite athletic activity? What are you known for amongst your friends? How do you unwind? What are you most grateful for? What is your favorite holiday? How do you celebrate it? What is the most interesting fact about you? If you were to go on a road trip, where would you go? Who has impacted you the most in life? What is one thing you still want to learn? What is your favorite way to spend your time off? What brings you happiness in life? Do you have any pet peeves? If you were to be notable for something what would it be? What is the longest timespan you could live without your phone? What do you hate the most about modern dating? Has a book ever changed your life? If aliens came to Earth, would you be scared of them or would you welcome them? Has a song ever made you cry? Why do you get up in the morning? If you could rewind time, what one moment would you want to relive? If you were famous, would you still want a relationship or would you sleep around? If you were free to murder one person without getting punished, would you? Do you think people are born good or born evil? Have you ever had a near-death experience? Would you rather be hideous or illiterate? Have you ever had your heart broken? What was the first thing you masturbated to? Are you proud to tell people about your job or embarrassed about what you do? Do you resent your exes or do you wish them well? If you got a girl pregnant, would you consider it a burden or a blessing? Do you like what you see when you look in the mirror? Have you ever written poetry? What about song lyrics? Who would you call if you only had moments left to live? Do you believe in magic? Do you believe in the afterlife? Do you usually go with your gut or with your brain? What celebrity do you think deserves more attention? Have you ever questioned your sexuality? Is there anyone in this world that you genuinly hate? Would the childhood version of you look up to the current version of you? How are you going to leave your mark on the world? Would you lie to keep your best friend out of prison? What type of imaginary scenarios do you create in your head? Do you consider yourself to be a good person? Do you think you have a purpose in life? Are you following your dreams or have you given up on them? Which gender stereotype about men do you hate the most? If you could erase specific memories from your mind, would you? Do you love your pets as much as you love your human family members? Have you ever seen a ghost? If not, do you believe they exist? Which fictional character do you relate the most to? Would you choose to live forever if you had the opportunity? Who was your hero when you were a little kid? How do you feel about me? why your online dating profile isnt working. Have you tried to Google me? How long have you prepared for this date? Do you easily get bored? Can we try not to touch our phones for half an hour? What do you like about me so far? Do you feel things deeply? Have you tried suppressing your emotions? Are you okay talking about feelings? Do you stare at your ceiling before you sleep? Which has a higher spot in your priority — relationship or career? Are you one of those people who consider dates as job interviews? Okay…so how many dates have you been on before this? How many hearts did you break in the past? When is the right age for you to settle down? What would you do if I just start crying and screaming right now? Do you believe in astrology? If I tell you our zodiac signs are super compatible, will you agree on a second date? Have you ghosted someone before? Who has been the biggest influence on your life? What really makes you laugh?